Punta cruz, as seen from the former sea-bed. 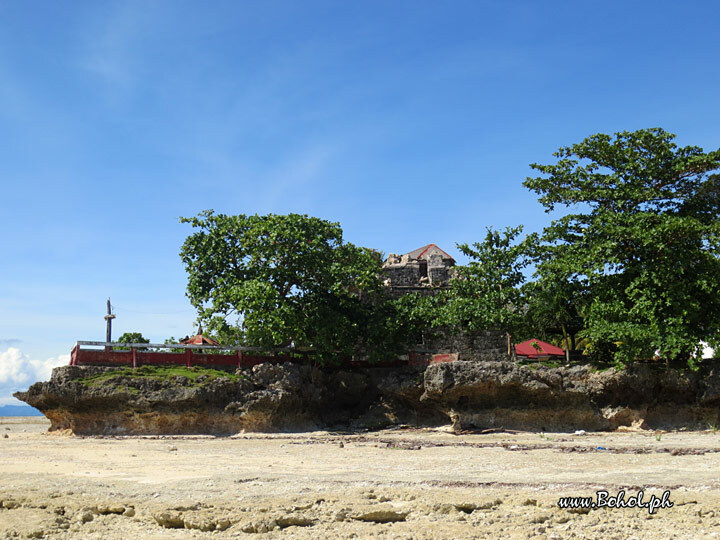 At this place, during the October 15, 2013 earthquake, Bohol was lifted about a meter, and as a result, the shoreline receded more than 50 meters. The Punta-Cruz watch-tower (to be seen behind the trees) was heavily damaged during this quake, and it now no longer stands directly at the sea.